This workshop is all about exploring i) the UNIQUE MUSICAL STYLES and ii) the special VOCAL STYLES and CHORAL COLOURS that underlie each different choral idiom. On Friday (JULY 27th) we’ll explore the glorious diversity of styles and colours found in WORLD CHORAL MUSICS On Saturday (JULY 28th) we’ll investigate EARLY MUSIC CHORAL IDIOMS from &gt; Medieval &gt; Renaissance and &gt; Baroque times. 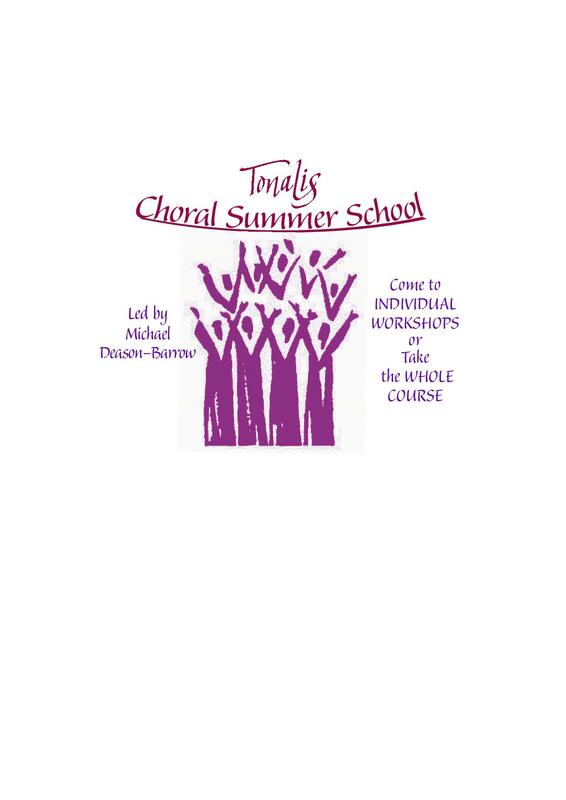 On Sunday (JULY 29th) you’ll have the chance to sing in: CLASSICAL, ROMANTIC and CONTEMPORARY choral styles (including the use of Extended Voices in contemporary classical musics) and there’ll even be a touch of Gospel &amp; Popular Voicings.